I didn’t really excel at school, so I never imagined I’d become a social entrepreneur who helped homeless people get back into work. In itself, that’s an important lesson for people I come across through the Beyond Food Foundation and Brigade restaurant. It’s not necessarily about being academic; it’s about being inspired by what you’re learning. In the case of the Beyond Food Foundation, this inspiration is powerful enough to transform lives. We’ve helped hundreds of people who are homeless or at risk of homelessness by training them in the kitchen and supporting them with practical things such as housing and dealing with the council. From previously chaotic existences, they’ve found stability and developed skills they can use to sustain themselves. I went through school thinking I wasn’t very smart, but when I got into cooking, I realised I was perfectly smart. I just needed to be inspired, and it was the cooking I did at home with my amazing family that was my biggest influence. Food is very much part of my heritage, and I went on to do a four-year apprenticeship at The Savoy with the Royal Academy of the Culinary Arts. 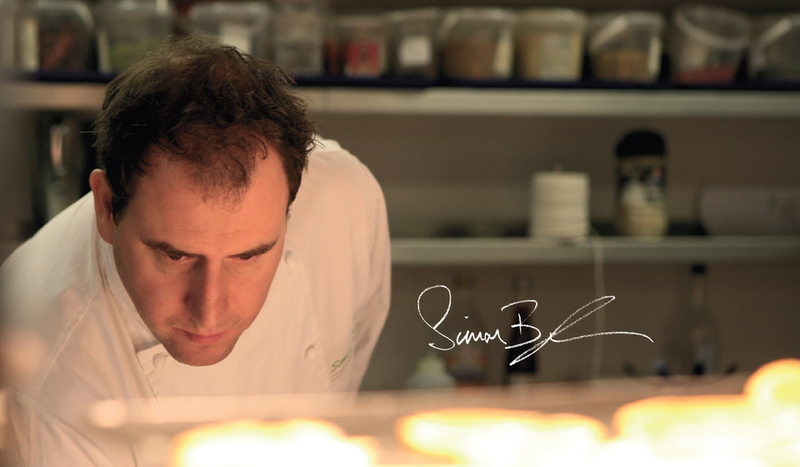 Then I went on to the Chewton Glen hotel – which had a Michelin star – where I refined my cooking skills. What got me wanting to work on a social enterprise and with homeless people was having a really stable and supportive family. People who find themselves in a homeless situation have lost so much in life and they simply don’t have that level of support. There’s no-one to help them focus on the things they want to achieve. In around 2000, I was working as a Culinary Ambassador at Unilever and I had my own small business on the side. I was looking more and more at social causes and how I could apply my skills as a chef to help others. I didn’t intend for it to become so big or so much a part of my life. When the Indian Ocean tsunami happened in 2004, it cemented my feelings of wanting to help people through food. I felt compelled to go and help and set up a relief camp with some people I knew in Sri Lanka. I spent most of my time there cooking for volunteers and victims. When I came back to England, I wondered what I would do with my life after such an experience. I scaled down my role with Unilever and worked more on my social enterprise food business, developing a programme that would help homeless people. The idea is to use food as inspiration. It starts with helping people realise that if they eat the right things, they start to get the right energy and motivation to move themselves on. Then you’ve got something to work with and they’ll go on to learn new skills that can help them gain employment. This is what I’m putting into action through the Beyond Food Foundation and Brigade restaurant. I think social enterprise solutions to issues such as homelessness are more important than ever before. More and more people are becoming homeless. The government is trying to sort out the financial state of the country, but until this happens, it’s the most vulnerable who are hardest hit. They’re not able to navigate the system and the current system isn’t helping them get back on their own two feet. The time when people move from unemployment into employment is an incredibly sensitive stage and without support, people can fail. And if those people have mental health issues or addiction problems too, even trying to sort out a simple issue with the council is difficult. The people I’ve met through the Beyond Food Foundation reinforce the value of social enterprise to me. We’ve just made a film about three of these people and stories like theirs are more common than you’d think. Dawn has a severely autistic son who requires constant care. She couldn’t navigate the system to find work and care for her son until she met us. We adapted her training schedule so she could look after her son and when she started earning money, the care system was able to help her son a bit more. She went through our whole programme, completed a two-year work placement at Mondrian London, and now she’s working full time at Brigade. Ben was a medic in the Army. He got bitten by a tick in Afghanistan, and it basically destroyed his body. This hit him mentally as well. He was medically discharged from the Army, ended up being sectioned and lost his family in the process. When we met him he hadn’t worked for five years. He’s still an apprentice with us, but he has regained a feeling of purpose and he’s just moved into his own accommodation for the first time in a number of years. Joanitah is at the very start of the process with us. She still has so much pain behind her eyes, but from the short time we’ve spent with her so far, we’ve found she’s brilliant at making bread. So now she’s working in Brigade on a daily basis making fresh bread for our customers. She’s grabbed hold of her skill and it’s become a way for her to help move herself on. Social enterprise seems to be an interesting, growing way to deal with social problems. It involves people sticking their careers on the line to find ways to help people in a more commercial way, but solutions like this really do work. I hope people think Brigade is a good restaurant, but it’s inspiring and training people at the same time. Our customers want to make a contribution to this as much as they want to eat a great meal. Join us at Brigade on 2 March 2018 for The Social Diner supper club with Manuel Mancuso & The Apprentice takeover.